Lucy, the Mertzes, and Little Ricky are attending a Cleveland Indians - New York Yankees baseball game at Yankee Stadium when Bob Hope shows up. This is the perfect opportunity for Lucy to talk to Hope about appearing at Ricky's new night spot, the Club Babalu. Disguising herself as a moustachioed hot dog vendor, Lucy gains admittance to the box section where the comedian is seated. Matters take a dark turn as Lucy's distracting antics cause a ball to strike Hope in the head. Summoned to the ballpark to confer with Bob Hope about the opening night material, Ricky finds the funnyman treating the bump on his head in the Indian's locker room. 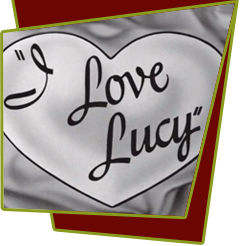 Enter Lucy, now dressed as a ballplayer, making a second stab at persuading Hope to appear at Ricky's club. When she sees her husband, Lucy attempts to escape, but Ricky pulls her back. The two performers discuss a possible bit for the show, and naturally Lucy wants in. Ricky naturally says no. But Lucy later makes a plea to Mr. Hope: "You have no idea how talented I am." He believes her and demands that she be a part of the baseball song trio. At the nightclub's grand opening, Bob Hope and the Ricardos sing "Nobody Loves the Ump," and Hope does a special-material version of his theme song, "Thanks for the Memory." Special Notes: This was Keith Thibodeaux's debut as Little Ricky. Due to Bob Hope's busy performing schedule, he could not memorize his lines and had to rely on cue cards held by propman, Jerry Miggins, who also had the dubious job of throwing the baseball that hits Hope on the head. Ten year's prior to this filming, Desi Arnaz was the orchestra leader on Bob Hope's NBC radio show. Bloopers: As the "Nobody Loves the Ump" song ends, Lucy appears to still have the tiles attached to the bottom of her shoes. As the audience applause, Lucy's tiles vanish from her shoes.